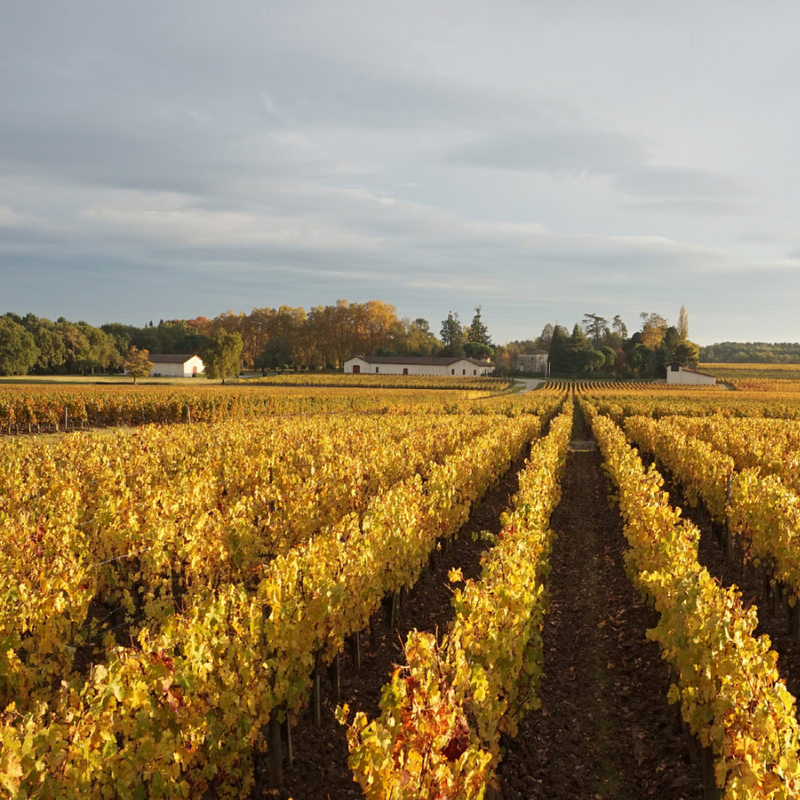 If there’s one thing that people tend to assume about the wines of Bordeaux, it’s that they’re red. Fair enough: The region produces about 89 percent red wine. But the 8 percent or so of dry white wine (the other 3 percent is sweet) that trickles out of Bordeaux’s chateaus is well worth investigating. If there’s one thing that people tend to assume about the wines of Bordeaux, it’s that they’re red. Fair enough: The region produces about 89 percent red wine. The 8 percent or so of dry white wine (the other 3 percent is sweet) that trickles out of Bordeaux’s chateaus, though, is well worth investigating, especially if you’re a fan of crisp whites. There’s also plenty of it: Bordeaux produces a vast amount of wine, so even the small percentage that is dry and white amounts to about 64 million bottles per year. Bordeaux whites are made primarily from Sauvignon Blanc and Semillon, both varieties on the citrusy end of the white grape spectrum, sometimes with a small amount of Muscadelle or, more rarely, Sauvignon Gris blended in. The greatest can age beautifully for decades (and are often quite expensive—witness Château Haut-Brion blanc, which runs about $1,100 a bottle), but even good, fairly affordable bottles can benefit from a year or two in a cellar. Expect to find citrus fruit characteristics, often with a light herbal or grassy character (Bordeaux Sauvignon Blanc is neither as tropical-fruited as California Sauvignon nor as green peppery as New Zealand versions), as well as floral and sometimes honey notes. Also, many wineries age their wines for a time in oak, which can add vanilla and spice nuances. Generally speaking, the wines from the less prestigious appellations, such as Bordeaux Blanc or Entre deux Mers, tend to be more directly fruity and simple; those from Graves and (particularly) Pessac-Leognan are more complex and have more potential for aging. I recently tasted through a range of 30 or so recent-vintage white Bordeaux. Here are a few of my favorites, at a range of prices. Grassy and light, this balanced white—made by Pierre Lurton, who also is managing director for the ultra-famous Château Cheval Blanc and Château d’Yquem—balances equal parts Sauvignon Blanc and Semillon, with a touch of Muscadelle. Appealing and straightforward, it has a light peppery note on the end. An unusually high percentage of Sauvignon Gris and Muscadelle (20 percent each) gives this white from the often-overlooked (and, honestly, often not very exciting) Entre deux Mers region a melony note and a richer texture. It’s a great buy. The 2010 vintage of this Pessac-Leognan property’s white is still fairly widely available, and a few years in the bottle has only added to its richness and complexity. The color of 12-karat gold, it has deep flavors of honey and citrus, with a light minty edge. Château Smith Haut-Lafite’s flagship (and extraordinarily impressive) white runs a good $100 a bottle or so. This second-label wine, though, is still lovely; there’s oak up front, which recedes into full-bodied lemon-cream flavors. The white wine from this classic Pessac-Leognan property (which also makes a very good red) is about two thirds Sauvignon Blanc, which shows in the wine’s lightly herbal, lemony scent and equally lemony, crisp flavors. Balanced and complex now, it’s also certain to improve over time. Creamy and luscious, this is a wine that shows the heights white Bordeaux can reach. Rich honey, lemon curd and pineapple aromas and flavors—it would be overpowering if it weren’t so perfectly poised and complex. Hard to resist now, but will age for a decade or two at least.